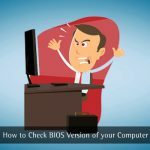 If you prefer to use a Linux laptop to a Windows or a Mac PC, then you are exactly where you need to be! 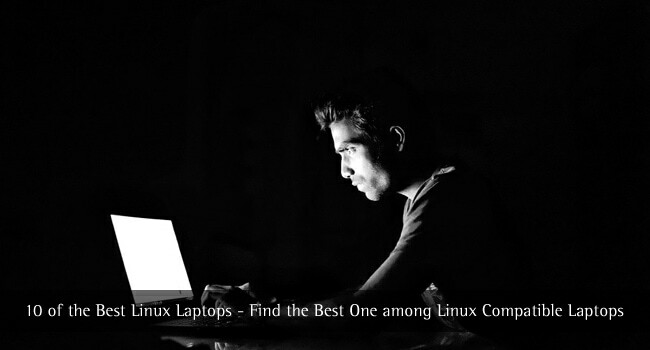 We have compiled a list of best Linux laptops to help you in finding the right fit for you. Linux is a brilliant open-source software and hence using a laptop with Linux OS has its own brownie points. Firstly, you are completely on your own without any intervention. Additionally, Linux is far more secure as compared to Windows, and better equipped to deal with any malware or virus. Not only is Linux absolutely free, it also offers a broad range of distributions for varying needs and can be modified as per personal preferences. System76 is possibly the most well-known Linux PC manufacturer. The Denver Colorado-based company offers an assortment of Linux compatible laptops and desktops. It’s Galago Pro laptop received a major makeover in 2017. Sporting a sleek look, 13″ HiDPI display, and backlit keyboard, the new Galago weighs just 2.8 lbs. You will find an SD card slot, two USB 3.1 ports, a Thunderbolt 3 USB-C port, and an ethernet port. While the 2017 Galago Pro is a thin and light laptop, System76 does not cut back on storage. It is available with up to 32GB of RAM and 5 TB of storage. You can equip the Galago Pro with an Intel Kaby Lake 7th gen i5 or i7 CPU. The Galago Pro starts at $960. With its premium specs and balance between performance and portability, the System76 Galago Pro is one of the best laptops for Linux. 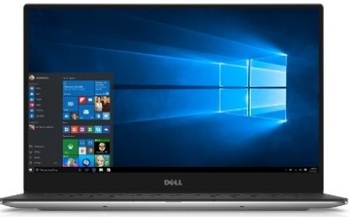 Although Dell is not a PC maker commonly associated with Linux, its Dell XPS 13 Developer Edition should not be underestimated. The Linux-capable machine is available with Ubuntu 16.04 and features stellar specs. If you wish, you can shell out for the most expensive XPS 13, which has a QHD+ (3,200 x 1,800 resolution) InfinityEdge touch display. The slightly more wallet-friendly configurations run with a Full HD (1,920 x 1,080) 13.3-inch InfinityEdge non-touch display. Decoding videos, compressing files, and encoding files are done with amazing efficiency and without lag. With its lightweight design, marvelous screen, and solid performance, the Dell XPS 13 Developer Edition is definitely one of the best Linux compatible laptops you can buy. 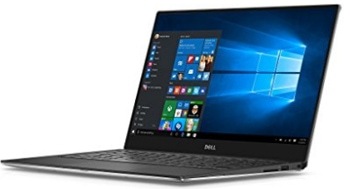 Various other versions of the XPS 13 series are available at Amazon. If budget is not a problem for buying your new Linux laptop, then the Dell XPS 15 is highly recommended. Although expensive it is definitely a great long-term investment and is an absolute value for money. It offers power, portability as well as high-end graphics. Internally, it is powered by 6th generation Skylake Core i7-6700HQ processor, 4k Ultra HD display, 16 GB RAM and 512 GB SSD. It is also equipped with an NVIDIA GeForce GTX 960M GPU, which allows one to quickly run high-end games and programs on it. Having a 15-inch touchscreen display with a resolution of 3840 by 2160, it is certainly one of the best laptops for Linux developers. It has an amazing battery life and a lightweight design. 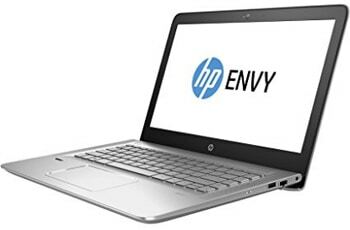 HP Envy 13 is a signature edition and is mainly preferred by business users as well as law college students. It surely is one of the best Linux compatible laptops and can outperform many high-end machines. Other than its i7 processor, it comes with 8 GB LPDDR3 RAM, 256 GB SSD, and Intel HD 520 graphics. Sporting a 13-inch 4k display it is certainly worth praising and comes with a resolution of 3200 x 1800. Its battery life is awesome and can easily run all your applications and programs. The device is equipped with features like Bang and Olufsen speakers as well as a backlit keyboard. Additionally, it is an almost maintenance free machine and may last for more than 3 to 4 years even with rough use. 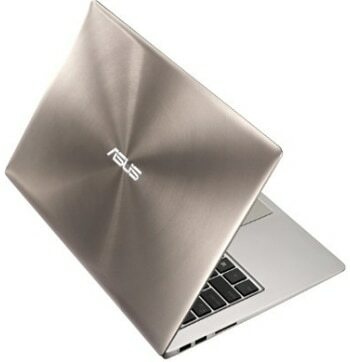 The ASUS ZenBook Flip is among the best laptops for Linux from ZenBook series. Not only is it remarkably light and small but delivers a power packed performance, it is one of the reasonably priced laptops. It comes with a 14-inch Full HD touch display where one can enjoy HD movies and videos. Internally, it includes 8 GB of RAM, 6th generation Intel Core i5 processor, 512 GB SSD and Intel HD 515 Graphics. It has been designed with great care. It can be flipped over in the 360-degree rotation. However, it might have some heating problems while playing games. It has a long-lasting battery life. 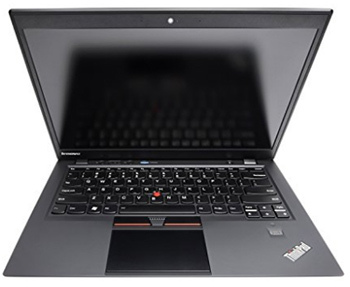 The Lenovo ThinkPad X1 Carbon is an all-time favorite business laptop that runs pretty well with OS such as Linux. It is one of the expensive options for Linux compatible laptops. It comes with a super slim design that makes it look very professional and sleek. It uses Windows 7 Professional as its primary OS and also comes with Windows 10 Professional’s DVD that one can easily install. Its storage is handled by 256 GB of SSD, and its other hardware includes 6th generation Intel Skylake i5-6200U processor, Intel HD 520 graphics and 8 GB DDR3 RAM. It also comes with plenty of astounding features like spill resistance, fingerprint reader, backlit keyboard and an HD webcam. It is an excellent and obvious choice for business users as well as a great alternative for those who want to use fingerprint reader as well as a distro with Linux. 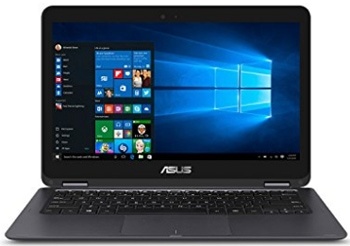 Almost all of the ASUS Zenbooks are Linux compatible laptops, and so is UX303UA. It is available in two different versions where you can choose between a medium-end model and high-end model for a difference of $500. Based on its specifications and design, it is a budget-friendly machine and is a complete value for money. It comes with 6th generation Intel Core i5-6200U processor and 8 GB RAM. 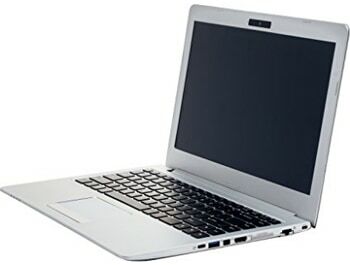 It boasts a 13-inch full HD touchscreen display, backlit keyboard, 256 GB SSD, 1.2 MP HD webcam and Intel HD graphics. When it comes to audio quality, it’s powered by ASUS SonicMaster technology which can efficiently deliver natural and higher sound. Overall, it has a premium looking design, amazing hardware and a great battery life, all of that for an average budget making it one of the best laptops for Linux. 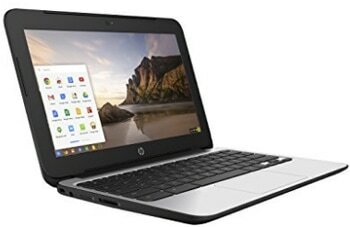 If you are looking for a budget-friendly machine, then the HP Chromebook 11 might just be an ideal choice. It is very efficient and decent device that comes with Intel Celeron N2840 processor, 16 GB Flash SSD and 2 GB of RAM. Since Linux is fully customizable OS, one can quickly set it up accordingly and use it smoothly for various tasks. It has an 11-inch display with anti-glare feature and resolution of 1366 x 768 which is just according to its price and size. It certainly can be considered as the best Linux laptop under $200 for those looking for a pocket-friendly machine. 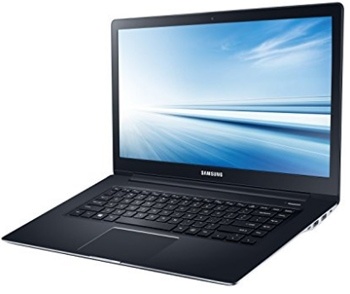 The incredibly sleek and lightweight ATIV Book 9 by Samsung is among the best Linux compatible laptops. This laptop knows exactly how important it is to improve ergonomics without undermining performance. The 2014 Edition comes in two versions – an Intel Core i5 version which is clocked to 1.6 GHz and an Intel Core i7 version clocked to 1.8 GHz. 8 gigabytes of RAM power a lightweight 250 GB solid state hard drive. It sports a 15.6 inch-1080p touchscreen display and an Intel HD Graphics 4400 graphics card. All of this weighs less than 4 pounds. If you want a 15-inch budget Linux Chromebook, then this is exactly what you need. Since its launch in March 2015, it has been one of the best-selling laptops, and it’s a highly recommended laptop under $250. It packs Intel Celeron 3205U processor, 4 GB DDR3L SDRAM, and 16 GB SSD. Its battery life is yet another reason to consider this device, and it sports a 15-inch Full HD IPS display. It is among the best Linux laptops Amazon has and one can easily customize its specifications according to their needs while buying it from Amazon. 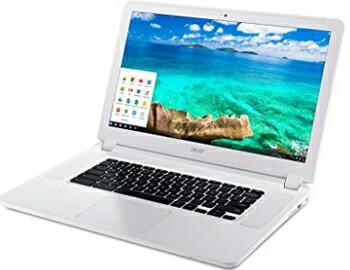 If you compare it with other Chromebooks or laptops in this price range, you will not find a display and battery such as this one includes. It comes in full white color body with black keys, and overall, it’s a nicely built device even for rough users. It definitely is among the best Linux compatible for users on a budget. So these are some of the best Linux laptops that you can buy in 2018. We tried adding a wide range of options to our list. Which Linux laptops would you recommend? If you feel we missed out on any good options let us know in the comments below. Also, if you have any doubts regarding the best Linux laptops then feel free to throw questions at us and we will gladly help you. I was looking for this type of post. It is seriously helpful for me and I think, for all. The 3rd one you describe Dell XPS is my favorite Laptop.